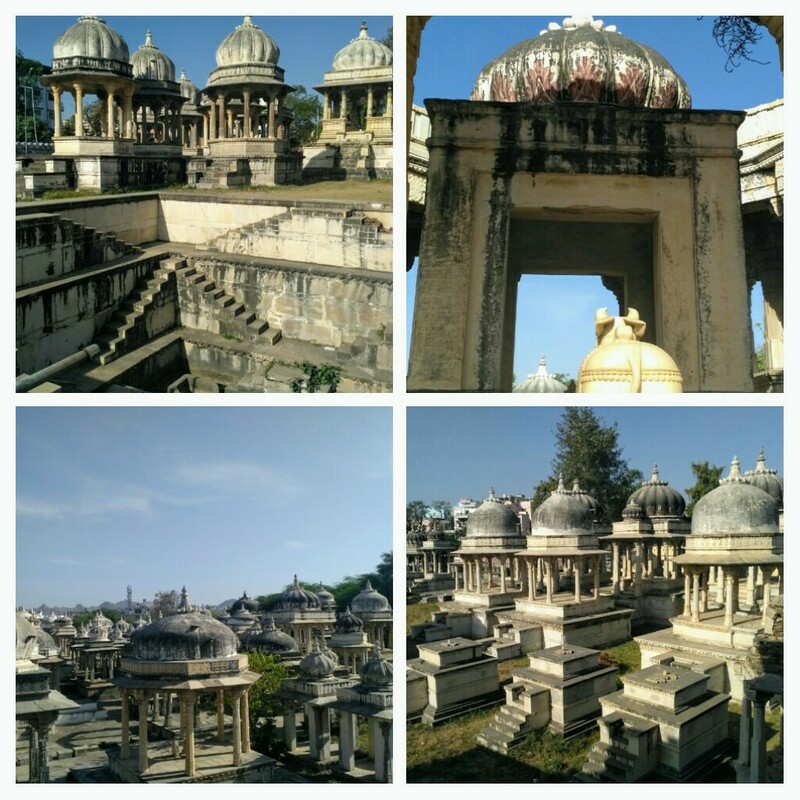 The Ahar cenotaphs. I learned the word “cenotaph” when I was 14. It means a “monument erected in honour of a person or group of people whose remains are elsewhere” — a place holder for veneration, if you will. I don’t think the folks who put together that dictionary ever dreamed of the way they’re done in Rajasthan, over acres and acres of land. The yellow stone Bada Bagh outside Jaisalmer might be the most famous, but near the old Pratap Nagar railway station in Udaipur is a huge tract of Chhatris in white. Sadly, the grounds are unkempt and some structures are in disrepair (plus the caretaker is more than happy to take a bribe to break the posted rules.) Still, it’s serene and rather imposing in the early morning and I’m glad to have visited.